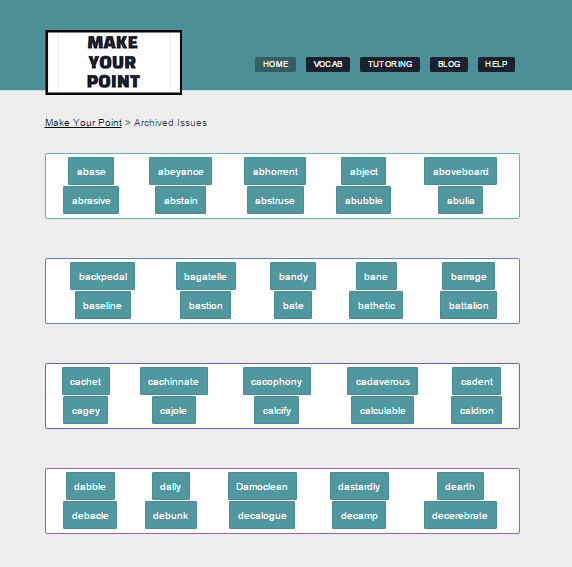 After oodles of requests from readers to get an archives page up for past issues of Make Your Point, I'm happy to share that I've had some time to start getting that set up! It's a bit of a time-intensive process, so please bear with me as I get the content posted. For the moment, please take a peek at what the main archives page will look like, but be aware that most of the links aren't up yet. You can also check out the first few pages that are up--see the links below.